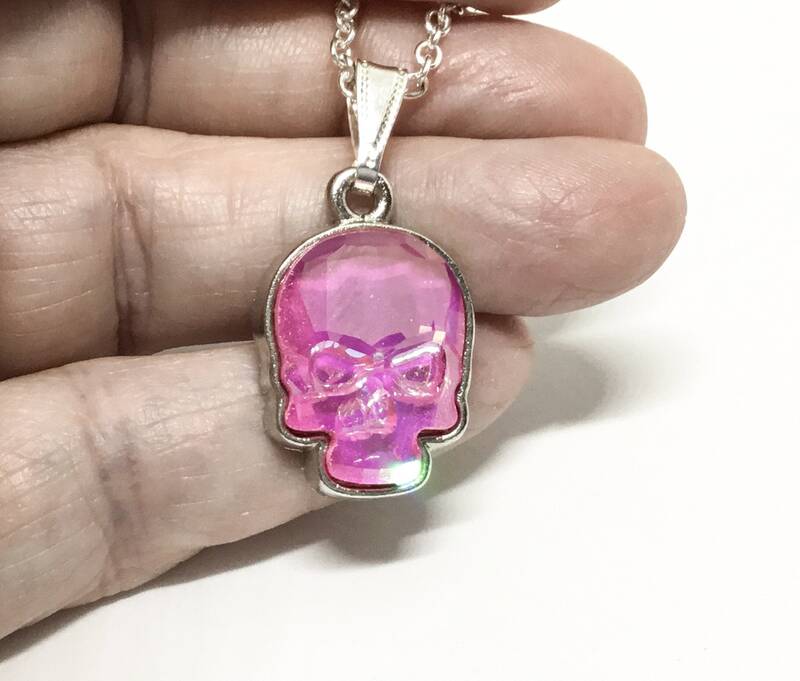 This is a sweet handmade pendant made by Steve in our studio. 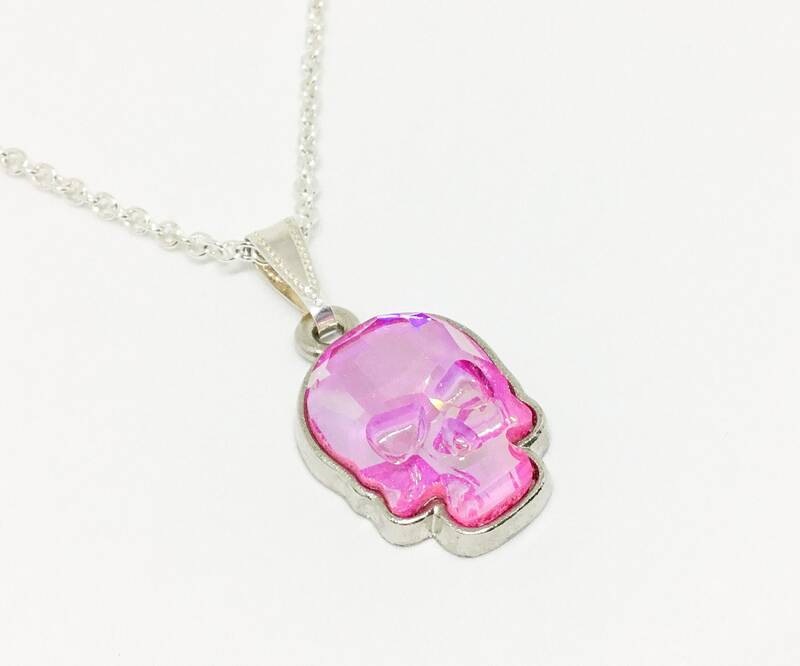 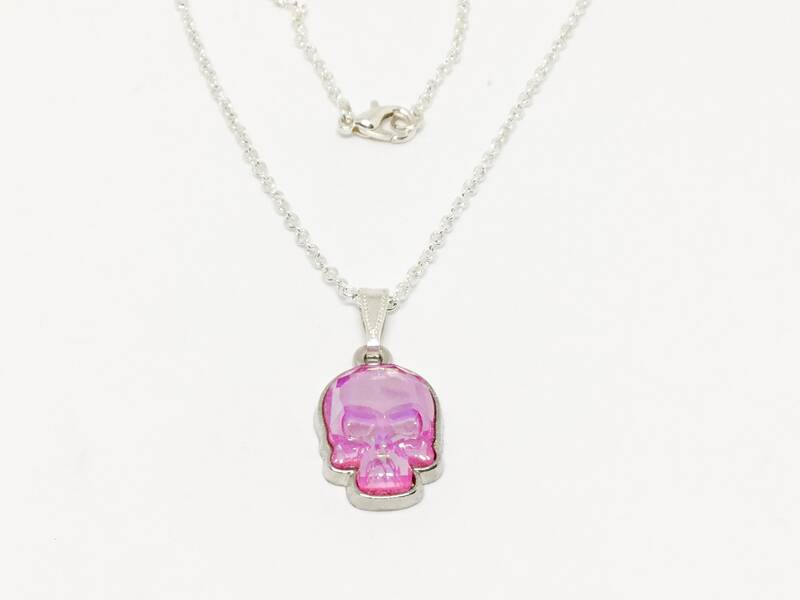 This pendant is made with a sparkly faceted AB ultra pink Swarovski Crystal Skull in a silvertone setting. 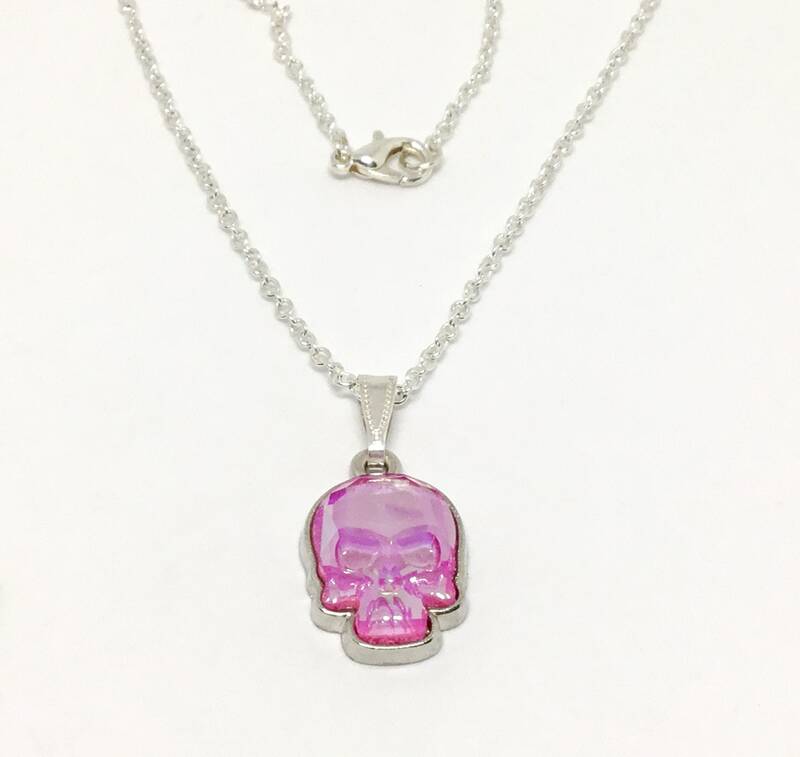 It measures 18mm x 14mm and a 18” silvertone chain is included. 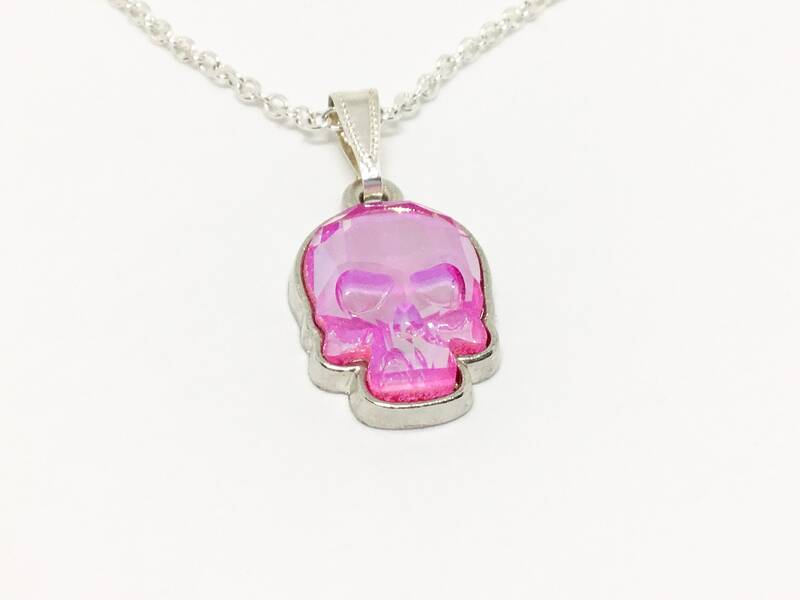 A great gift for yourself or someone who loves pink and skulls! 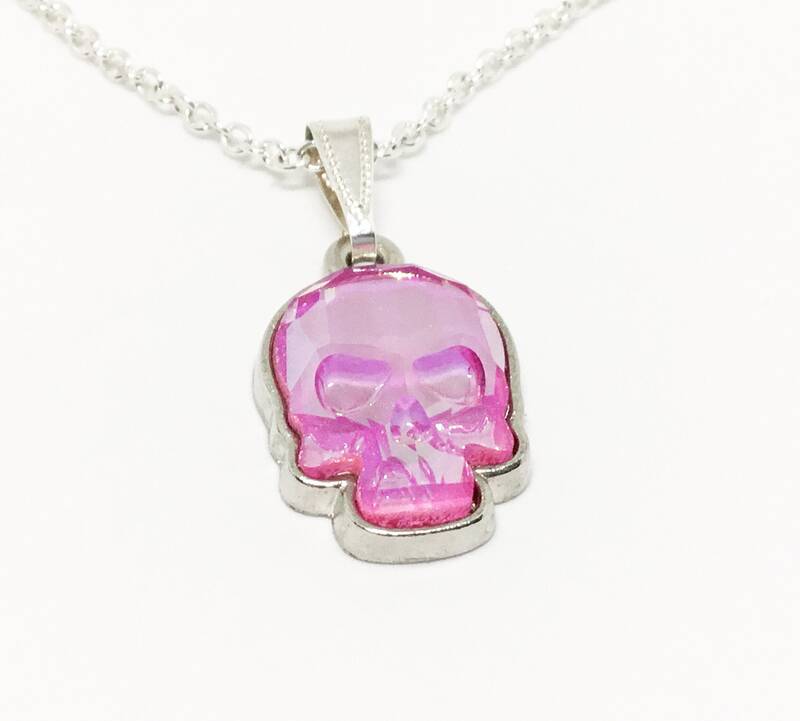 Aunique gift for sure!